Breakfast Topic: Which bonus events make you want to log on? 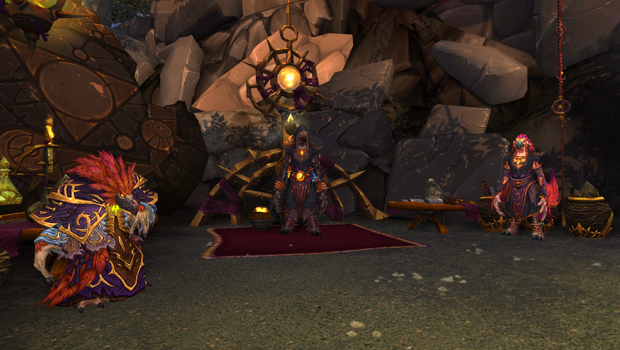 This week in World of Warcraft, we have an Apexis Crystal bonus event running. But despite some pricey new Apexis rewards that this could help me get, I’m just not that excited. Of course Timewalking bonus events are always a blast and can often lure me online — but not so much for the rewards as the fact that it’s fun. Because it’s been so long since I’ve run most classic dungeons, they feel like something fresh and new … while Apexis Crystals feel like the same old grind. A lot of the other bonus events feel much the same, either offering bonuses to things I’ve already done to death (like pet battle experience) or things I’m simply not interested in doing (like PVP). But what about you? Do bonus events catch your interest and encourage you to hop online to meet new challenges? Or are they simply another part of the daily grind?